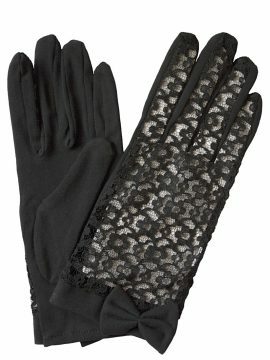 Stylish and elegant black satin dress gloves for evening and smart wear. 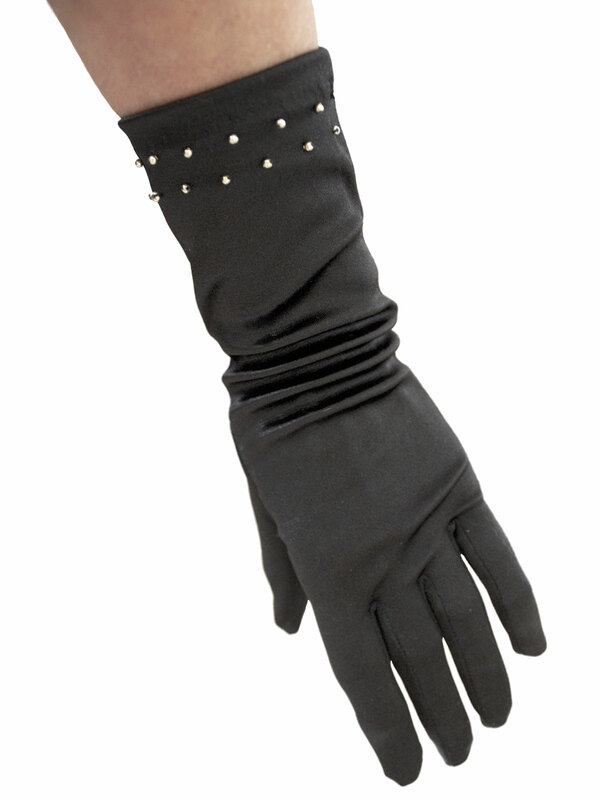 Made in finest quality black stretch satin, they feature two rows of gold studs at the top on the outer edge. 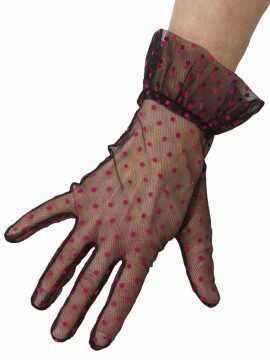 The gloves reach mid-way along the forearm. ‘One Size Fits Most’. 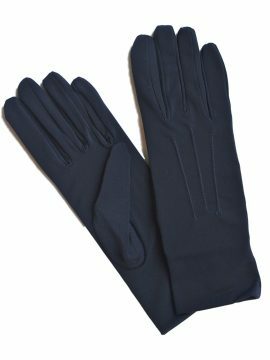 By Dents – reassuring quality. 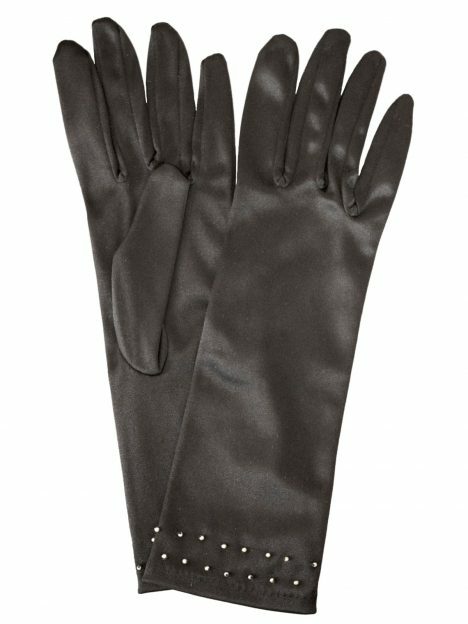 Elegant black satin dress gloves in finest quality black stretch satin by Dents, featuring gold–coloured studs on the outer cuff. 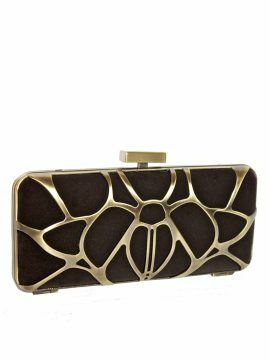 Perfect for vintage or modern outfits for evening and smart wear.